It's been awhile since I posted a simple side dish here - I usually incorporate them into my posts as part of the full meal. 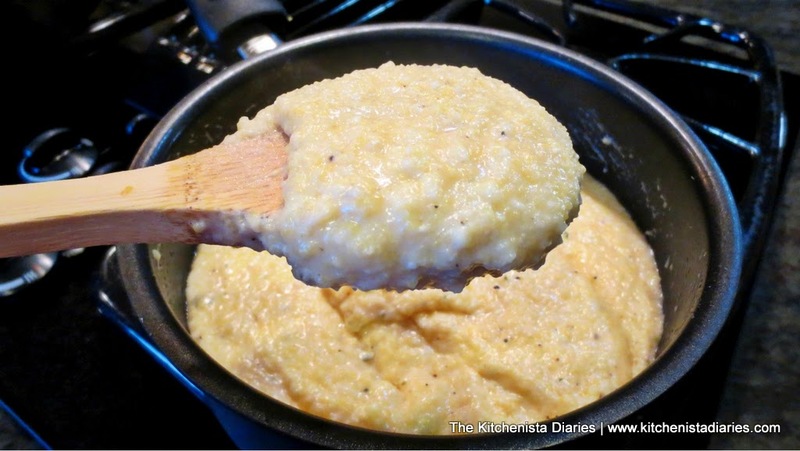 Because grits are so versatile, I thought this one was best as a separate recipe! 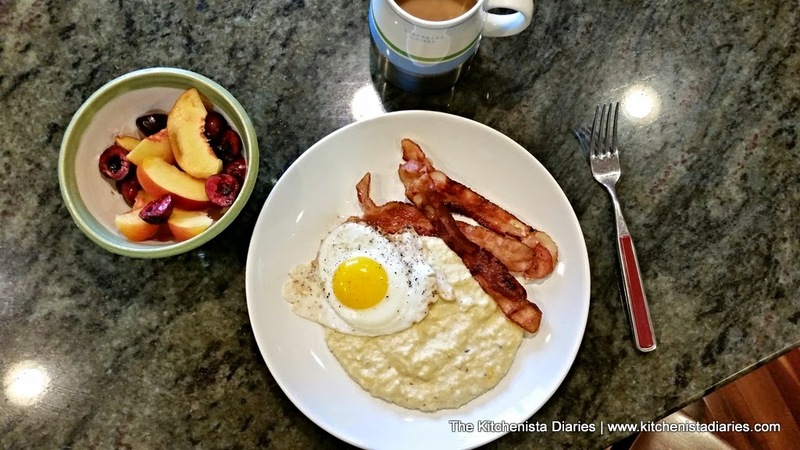 There's nothing complicated about making grits and yet most of us have had terrible experiences with lumpy, flavorless bowls of grits served at diners or packets of instant grits for breakfast. Don't let that discourage you from this recipe. These are not the same thing. Slow cooked grits are thick, creamy and silky - one of the ultimate comfort foods. A proper bowl of grits is sinful really, which is why it isn't a regular thing in my diet. 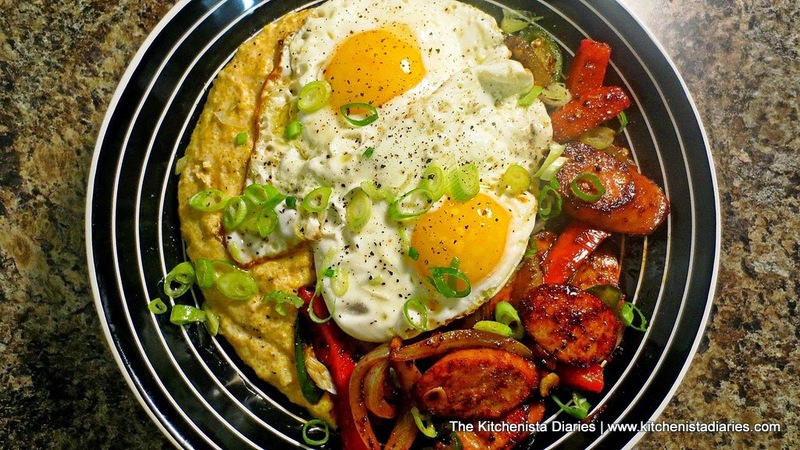 I love grits for breakfast with a fried egg on top, or for dinner with blackened catfish. My favorite way though is Shrimp & Grits - truly one of the best dishes the south has to offer. I don't add sugar to my grits! I believe grits are best as a savory dish. When I want something sweet, I prefer Cream of Wheat or oatmeal. I mention this because there's a hilarious ongoing debate in my Twitter circle about this (which I'm sure mirrors the debate among grits-eaters everywhere.) Literally, at least a couple times a month we will argue over the "right" way to prepare grits. I figured I'd state my opinion here once and for all. No sugar in my grits, thank you very much. Grits and Italian polenta are technically not the same thing according to what I often read, although there are varying explanations. At any rate, they are both made from stone ground cornmeal. 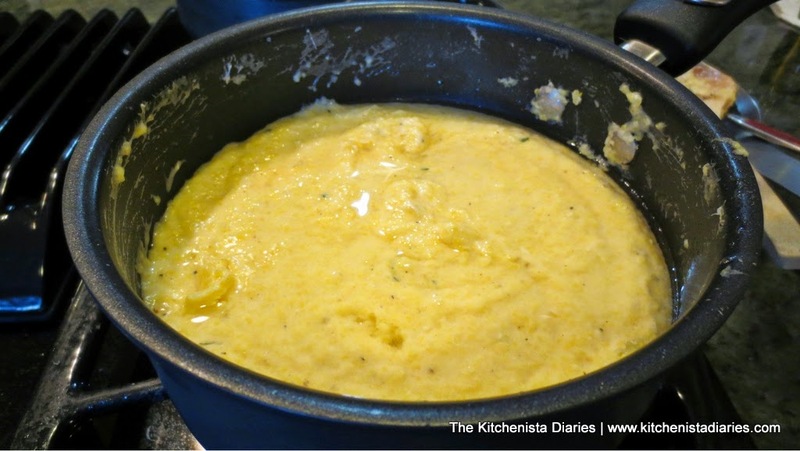 I usually find polenta to be a little creamier than grits, but to be honest there is so much variation between brands and how things get labeled that it really all depends on what you buy and how you cook it. 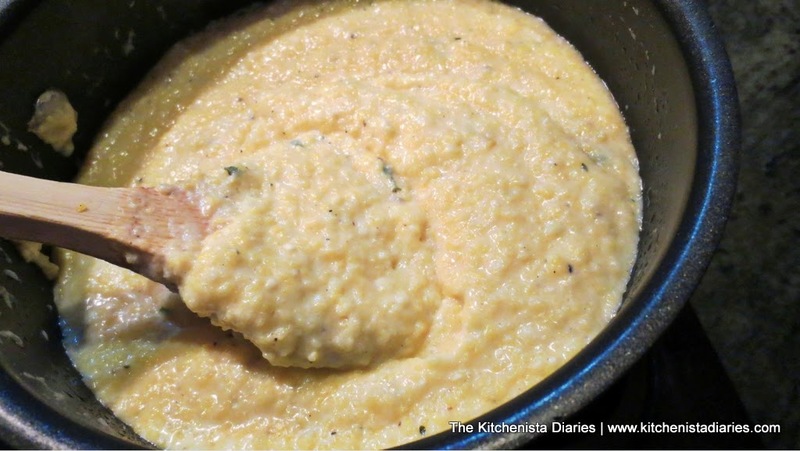 For what it's worth, as long as what you have is "stone ground cornmeal" and not an instant product, grits and polenta are interchangeable in this recipe. I really dislike the negative connotation behind grits as nothing more than "slave food." For one thing, many of the amazing soul food dishes we cherish today derived from food that black slaves in the south learned to prepare from less than desirable ingredients. Today the sky is the limit, so grits can be as down home as you like or part of an upscale restaurant dish. If President Obama still enjoys grits, you aren't too good for them either! 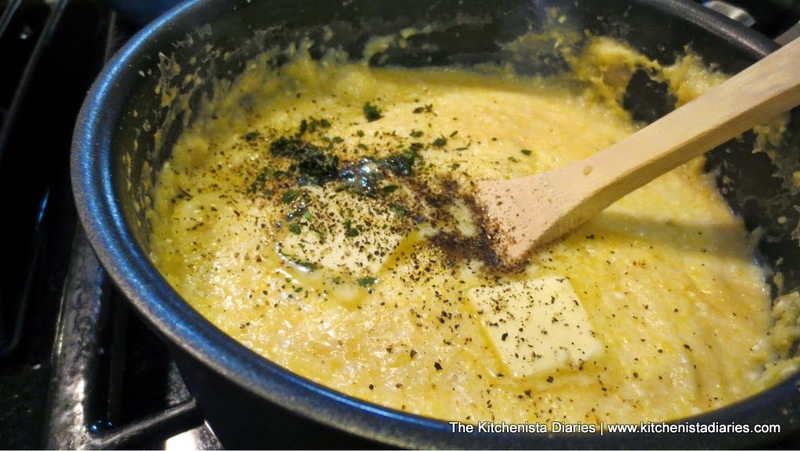 This recipe is my version of creamy, cheesy grits. I use Smoked Gouda often because it adds a pleasant, unexpectedly rich finish but doesn't compete with the other components of my dishes. Feel free to play around with any other cheese you have on hand - cheddar or Parmesan are common choices. 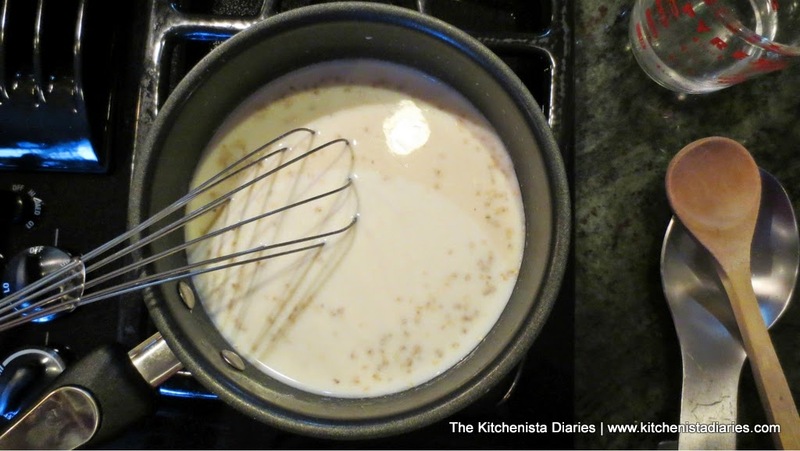 Whisk together the grits, chicken stock, milk and kosher salt in a pot over medium high heat. Bring to boil. Continue whisking constantly as mixture thickens, about 5 minutes. Lower heat and simmer, stirring frequently, for 15 to 20 minutes. 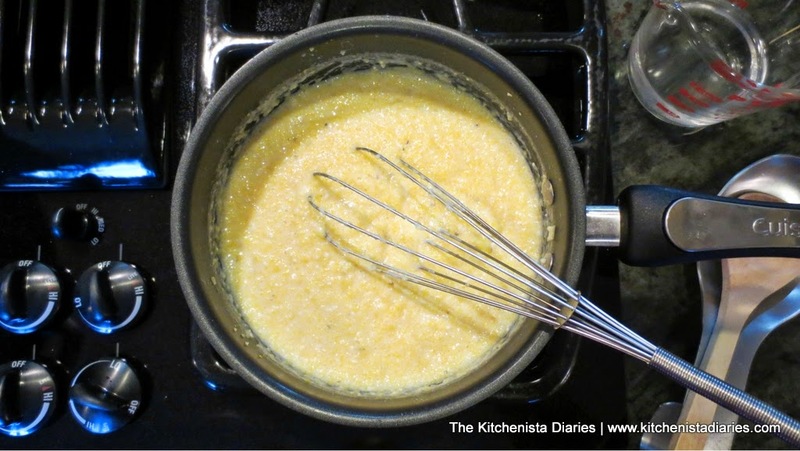 Grits will thicken up to a porridge consistency. Additional water can be added at any point if the grits get too thick. I like to switch to a wooden spoon at this point as there's little worry of clumps. You can even cook them longer than 20 minutes if you have the time. They'll continue to get creamier as long as you stir frequently and add water (or additional milk) when they get too thick. 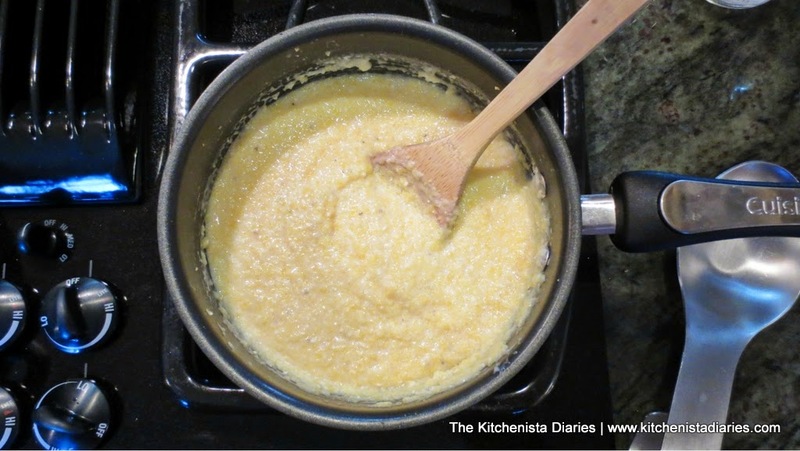 When grits are at desired consistency, add butter, thyme, and plenty of black pepper. Simmer a few more minutes to let the flavor disperse. 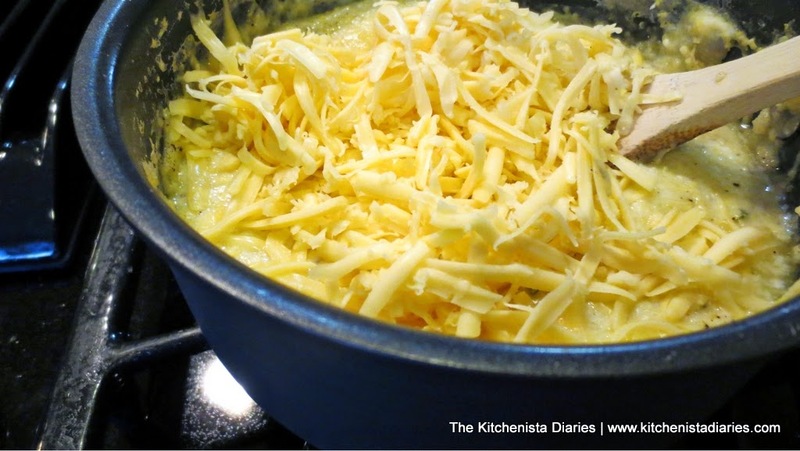 Add the shredded cheese and stir until it's completely melted. Season to taste with salt and pepper. If you're more than a few minutes out from the rest of your meal being ready, pour a thin layer of water over the surface of the grits. This will help prevent a skin from forming. The water can be stirred in when you're ready to serve. Serve hot with additional butter, if desired. Leftover grits can be reheated with additional milk or water if needed to loosen things back up. Now that you've mastered a good pot of grits - are you ready to conquer the ultimate pairing for them? 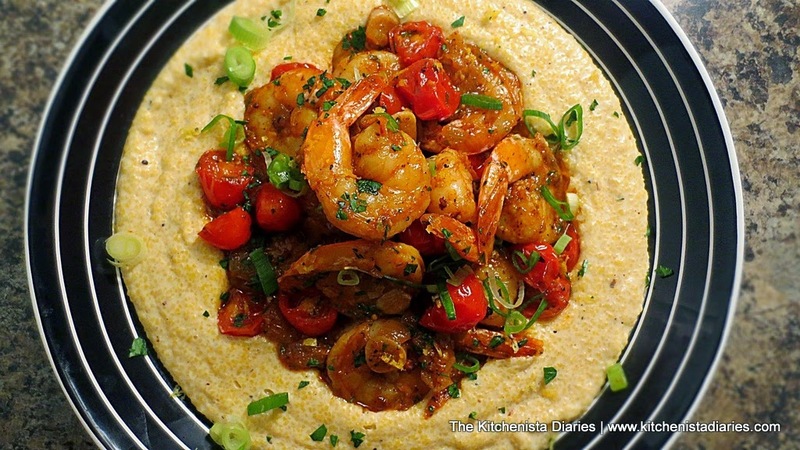 Read on to learn how to make my version of Shrimp & Grits with Tomato Gravy!